Susan is a staff specialist paediatric surgeon with a clinical and research interest in childhood injury prevention. She is on the NSW Kidsafe council and has an honourary appointment at NeuRA. 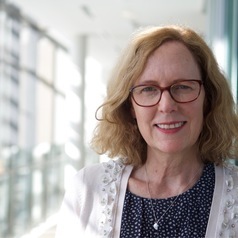 She actively collaborates with other clinicians, researchers and injury prevention practitioners in advocating for action to reduce childhood injury and improve care of injured children in the NSW trauma system.